Ginger (Zingiber Officinale) is a plant with leafy stems and yellow-greenish leaves. The Ginger plant is part of the Zingiberaceae family, alongside turmeric and cardamom. It is common in countries like Indonesia, Australia, Fiji, India and Jamaica. The root of the Ginger plant can be powdered, consumed fresh, dried as a spice, in oil form or as a juice. Ginger use has been in existence for thousands of years. It is commonly used for various health issues like arthritis, high blood pressure, nausea, pain, migraines and many more. Ginger has over 100 active compounds including Gingerols which are the major compounds in fresh ginger. Some of the other compounds include Shogaols (found in dried ginger), terpenoids, zerumbone, flavonoids, zingerone and pungent oleoresins. All the Ginger compounds are antioxidants, while some have antimicrobial, anti-inflammatory, liver-protecting, anti-tumour and pain-relieving activities. Pain Reduction – The Gingerols in Ginger help to reduce pain. Those Ginger compounds suppress inflammation and pain-causing agents in the body. You might need to visit the doctor for chronic pain which is sometimes beyond the powers of Ginger. 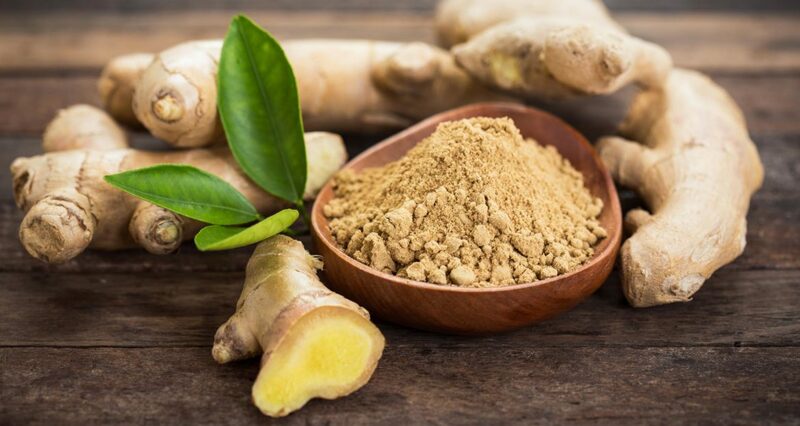 Cancer Protection – Ginger has antioxidants that may help to protect the body from Cancer which is widely regarded as one of the most deadly diseases. Aids Digestion – Ginger can be used for proper digestion as it helps to calm the stomach from situations like indigestion and bloating. Reduces Risk of Heart Disease – The use of Ginger lowers the cholesterol which in turn reduces the risk of heart disease. Ginger use leads to the reduction of the cholesterol and triglyceride in the body. Boosts Immunity – The Gingerols in Ginger has antimicrobial and antifungal properties that fight infections and also boost immunity. Reduces Nausea – Ginger is a common remedy used to reduce nausea. It’s especially useful for pregnant women or those recovering from cancer treatment. Arthritis – Ginger use is synonymous with those with hip or knee arthritis. It can help reduce pain for the people with arthritis. Reduces risk of diabetes – Ginger has compounds that help to improve metabolism and insulin thus reducing the risk of diabetes. Weight loss – Ginger intake in addition to other plant extracts can be beneficial to weight loss. Eczema – The shogaols in Ginger help to reduce eczema. Shogaols are mostly found in dried Ginger. High Blood Pressure – Ginger reduces the glucose levels in the body thus limiting the possibility of high blood pressure. Flu – Both fresh Ginger and dried Ginger are useful in preventing the common cold virus known as flu. Boosts Testosterone in Men – Ginger increases testosterone-boosting hormones, sperm motility and sperm count. Ginger affects several activities that lead to increased testosterone. Is my teenager at risk for anaemia?